The whitetail deer population is good in Unit 15 & 6.
properties are 160 - 640 acres in size!. Out of state hunters must apply for a permit during the April Lottery Draw. At that time you must choose either Rifle, Archery or Muzzleload. Irish Creek Outfitters is in Unit 15 and Unit 6. If you did not apply for the April lottery, there may be leftover permits July 1st. Contact us for more information. If you book a hunt with us early & do not draw a permit we will guarantee a 100% refund. All deer hunts are 5 days, semi-guided. We have box blinds, ladders, ground blinds and feeders all set up. You may bring your own tree stand, ladder stand, or ground blind. Facilities are available to process your kill. A local processor is 4 miles away if you want professional cutting/packaging. Hunter orange is required. Email us to schedule your hunt. 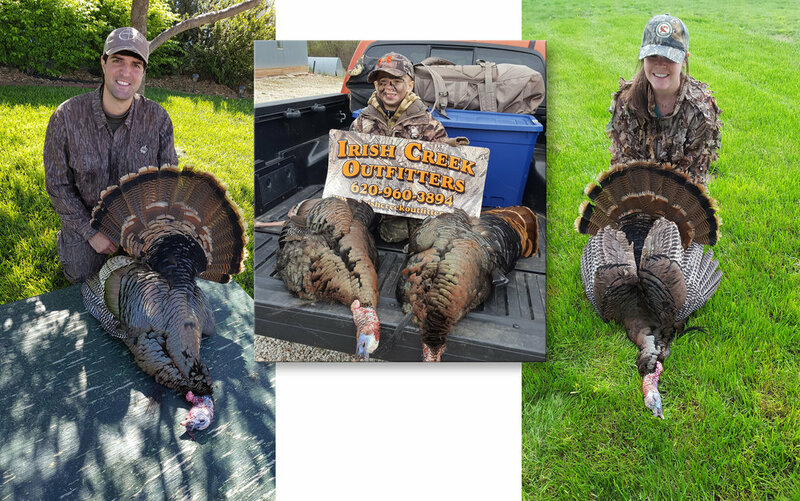 "I, along with 3 of my friends, have been hunting at Irish Creek for the last 4 years. I can say Steve has been nothing but accommodating and strives to make sure all our interests are met and we have a successful hunting experience. We couldn't be happier. We are looking forward to returning to Irish Creek." Local farm ponds, Cheney Lake, the Arkansas River, and the Ninnescah River provide for an excellent hunting opportunity for ducks & geese. We are also blessed with an abundance of irrigated corn, milo, and soybean fields. Guided and self-guided hunts are offered. Please contact us for current rates. "I have been to hunting operations all over the country and hunt several in Kansas. 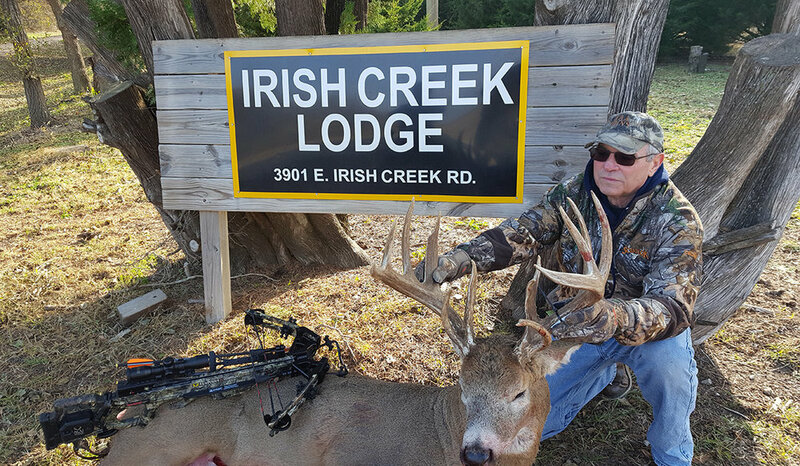 Irish Creek Outfitters is the cleanest with every detail kept perfect including the hunting areas. I hunt wild birds and Steve always makes every effort to insure a great hunt." CRP and crop residue fields are abundant and make for a great pheasant/quail hunt. When the seasons overlap, we offer combination hunts. An early morning goose hunt can be combined with an afternoon pheasant/quail hunt. When ducks and geese are in the area, this is very popular and great fun! "For several years I have enjoyed walking Kansas farm fields and watching the dogs work pheasants at Irish Creek Outfitters. The owners, Steve and Margy, manage a first class operation from the spotless, well equipped lodging to Steve's professional management of the hunt and guides. I would recommend ICO without hesitation. I look forward to my next hunt!" Turkey season should be a very exciting time. We have seen flocks of turkey up to 200 plus in numbers. In Kansas you can purchase turkey tags over the counter. Each hunter may take 2 birds, gobblers only, in the spring season. Get a group and come for a quick 2 or 3 day hunt. The Lodge is available. 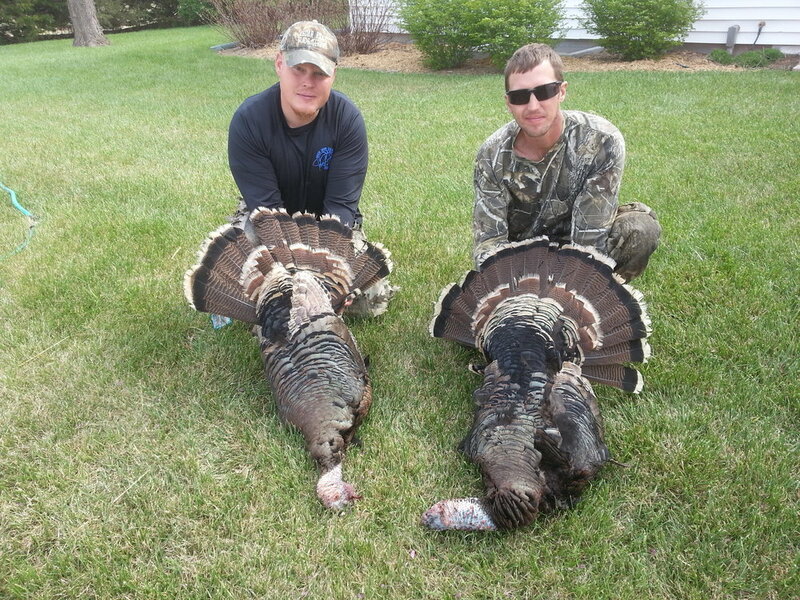 "I have been turkey hunting on Steve's properties many times for several years. I have been very successful hunting the area and on 2 different occasions even harvested 2 gobblers on the same day. Steve works hard to make your turkey hunt successful."